I could sit under these Pottery Barn inspired lanterns from Serendipity for days! Check out those vintage barn pulleys! A few old windows and you too can have your very own mini greenhouse like Design Dreams by Anne. 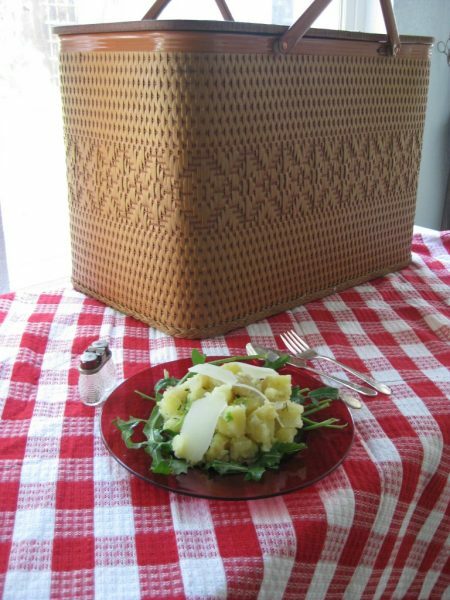 Linda at Fingers in the Dirt grows her own potatoes but I’m sure this Spring New Potato Salad would taste amazing with potatoes from the regular old supermarket too. The birds will surely find treasure in Finding Secret Treasure‘s bird feeder – in an old toolbox! Karen at Redoux made an amazing garden wall out of old garage door panels! But something else that caught my eye were her simple terra cotta pots aged with … joint compound! 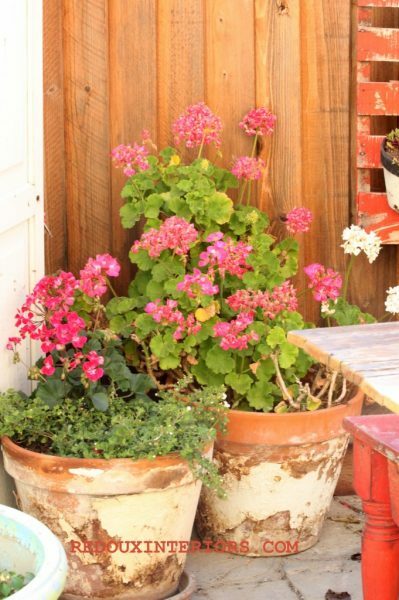 Karen at Somewhat Quirky has the most amazing vintage finds-filled porch. Love her chippy green cabinet and crib turned sofa. Don’t have your own pond? Make one like What’s Ur Home Story did (for less than $40). such fabulous picks my friend! LOVE them all!!!! don’t you wish everyone could be featured!!!! it was great fun hosting this grand event with you…as always…you rock! hugs! Wow, so much inspiration. I love seeing new ideas. Loads of fun inspiration, Kelly! Thanks for sharing! I’m having trouble fitting in my outdoor projects around our schedule and the weather… :-/. Guess i’ll just enjoy these!! So many fabulous projects, so difficult to pick just a few! I adore your features … so very you! Had a great time on the Mission Possible with you once again! She picked me! She really picked me! It’s because we’re long lost sisters. Thanks for the feature! 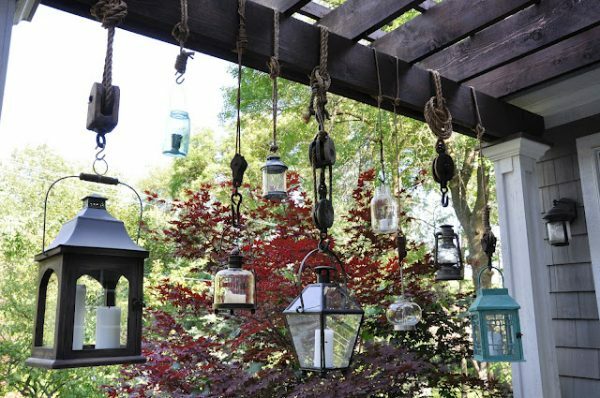 I think I’m going to have to combine those hanging lanterns with some of those solar lighting jars….. need to find some pulleys to make it as cool as Serendipity’s. What a bunch of fantastic outdoor projects! 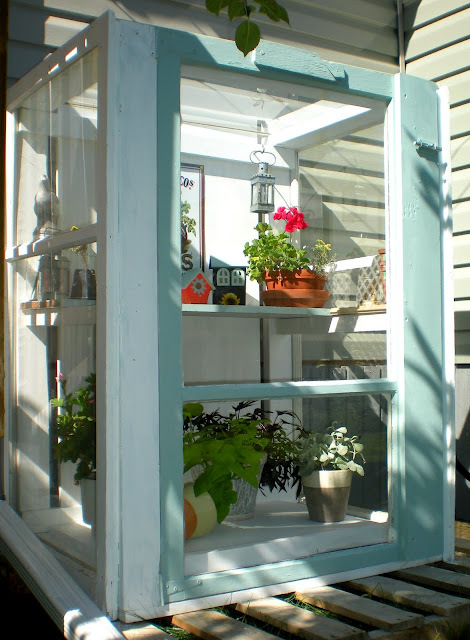 I might just have to try making an old window greenhouse…now where on earth would I put it??? Thanks for sharing these creative ladies! Great features. Awesome porch from Somewhat Quirky, already pinned the baby greenhouse, and love the pulley lanterns. Oh my!! Seriously this got my creative juices going!! These are incredible! The lanterns, the homegrown potatoes, the porch, the “It’s for the birds” tree, love, love, love it!! Wow! You picked me!!! My potatoes thank you! I have the green house pinned; I think my garden needs that one. 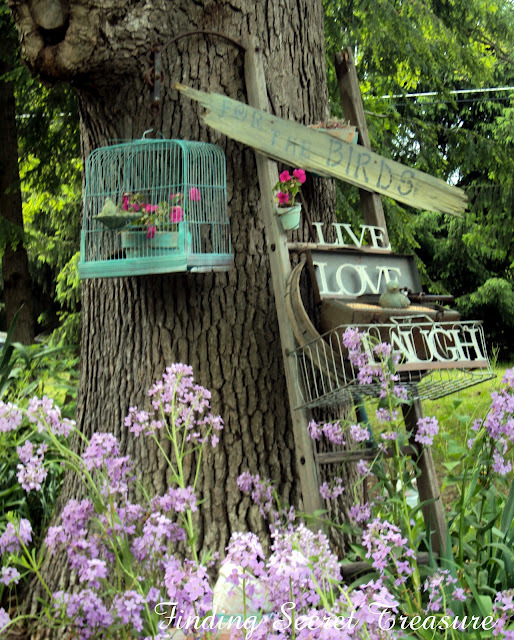 How cute is the bird sanctuary ~ I’m sure they love every detail as much as we do! 🙂 Great party filled with inspiration! Holy Hannah, where does all this creativity come from? It’s amazing! Love these projects!!! What a great party it was with SO MUCH inspiration! Very cute features!! There are some crazy creative bloggers out there!! Super fun features and a super fun linky party! Thanks so much for hosting. It would be so cool to have green house like that or a miniature pond. If only our mosquitos weren’t so bad. I really enjoyed this party… thanks for hosting. Love the mini green house and hanging lanterns! So pretty! Thank you so much for the feature. Sigh, I LOVE those lanterns too. I want those in my yard…..
lights on barn pulls!?! Just brilliant, how did I miss that one? OMG! Can’t believe it. Thanks for the feature. Amazed at all the talent I’ve seen here. Thanks again. You guys picked some great ones! I visited quite a few links but didn’t visit any of the ones you featured. I’ll have to pop on over and take a look. My favorite out of your favorites has to be that gorgeous chippy Hoosier cabinet on the vintage inspired porch. I found a new bookshelf to put on my enamel table but I think I’ll buy some Annie Sloan paint and put some more layers on to obtain a more aged look. Love that look. Oh, I listened to the podcast with Debbiedoos and loved it! 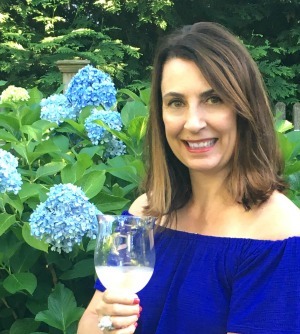 Your blog rocks Kelly! Love love and more LOVE! 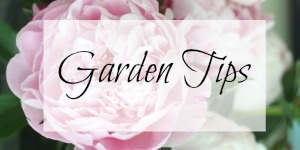 So many great outdoor spaces and projects. Thanks for sharing Kelly! I love all these! I still need to spruce up outside, thanks for all the inspiration! I die. I just pinned half this post! Amazing!! 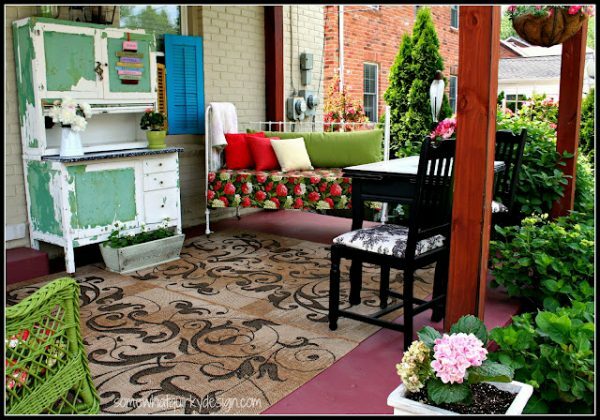 Love everyone’s creativity of one of a kind projects putting there stamp on that special outdoor space. 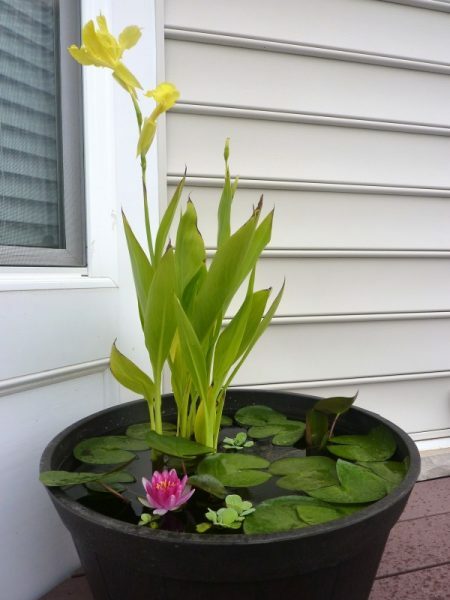 I am partial to water garden….missing my 2 ponds in the South.I am curious as to the size pot……also any suggestions to incorporate a small ball water feature…..hoping it will filter?? ?